← The Next Big Thing Blog Hop! I took some time away to sit back and observe my hometown. I watched as Detroiters walked like zombies through Thanksgiving and Christmas. Although most of us found jobs near the end of 2012, nobody is making what they use to. We were ecstatic to see 2013! All the negative press of the 2012 hung around us like thick morning fog and we were anxious to put it behind us. 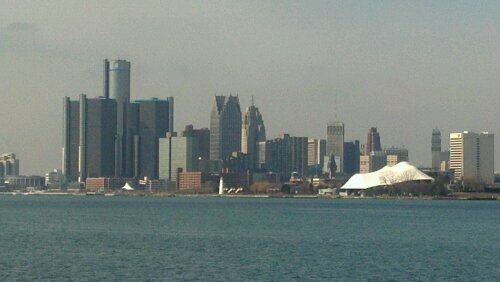 Yet here in March, the future of Detroit is still very much unclear. Detroit has now been officially declared a financial disaster area. Governor Snyder is set to announce an Emergency Financial Manager for the city of Detroit any day now even though the Emergency Financial Manager law was voted down in elections last November. How you like that for democracy? It wasn’t like City Council and previous 3 Mayors didn’t know the city was going broke. It just seems like every other bit of foolishness was more important. Like chasing women, fighting with each other, and listening to Marvin Winans complain about strip clubs. City Council is now fighting to keep an Emergency Financial Manager out of Detroit while current Mayor Dave Bing is opening the door. The City Council feels it Detroit doesn’t need a EFM (Emergency Financial Manager) and can fix its financial problems on its own. If that is true, this should have been prevented a long time ago. The current City Council should put more effort into finding solutions and let those solutions speak for themselves. Mayor Bing has acknowledged that Detroit needs help and has conceded that an EFM maybe necessary. In short, what Governor Snyder wants, Governor Snyder gets. This has made Bing very unpopular among Detroit’s citizens. The people have a right to be upset. Not only with Mayor Bing, but also City Council. And not just current Mayor and City Council, past elected officials as well. Can’t blame it all on Kwame. Detroit is too large to operate at a loss for so long. Once the economy took a downturn, Detroit became a dry riverbed with all its flaws exposed. Now in 2013, the citizens must be forced to lie in that bed. Holla if you hear me. Posted on March 8, 2013 by KELLY GREENE	• This entry was posted in Politics, Uncategorized and tagged Detroit, Detroit City Council, Emergency Financial Manager, Governor Snyder, Mayor Bing. Bookmark the permalink. The track record of EFMs in Michigan is severely mixed, for sure. But also, anyone who is going to be the next mayor is going to have to take an honest hard look at the city’s fiscal and bureaucratic state of affairs. For over 50 years now, tax policy in America, from the federal level to the state level to the local level has seen more accommodations and loopholes for big business and the affluent, demanding less of them while by default demanding more of the working-middle class and the poor. Suburban sprawl was in part subsidized by federal dollars. Manufacturing moved to rural and unincorporated communities, as well as to foreign countries. Educational infrastructure has ill-prepared several generations of youth for an increasingly credentials-based job market and globalized economy. Urban cores, by default, have been decimated. Only in the past 10 years have we finally seen the “ultimate” consequences of these independent-but-collaborative socioeconomic events, which is the insolvency of municipalities. When the remaining residents of a city are largely poor, many of whom are unemployed or underemployed, this means that there will be a lower overall tax revenue to help facilitate city services. Whoever ends up winning the mayoral election will have to face the likelihood of some form of state receivership already being in place by the time he or she takes office. On that note, real solutions, not rhetoric, will help to make Detroit a better place to live. My brother, you said a mouthfull. Watching the coverage oof all of it has been extremely painfull. And it seems that NONE of those in charge or our city know how to do anything but stand up and make noise. No solutions offered, Just more noise.